Soap Cities Viewing Guide to the 44th Annual Daytime Emmys! Soap Cities’ Viewing Guide to the 44th Annual Daytime Emmys! 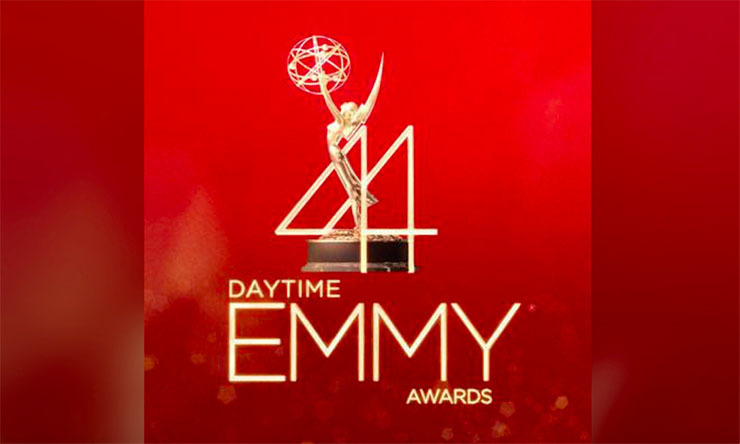 The 44th Annual Daytime Emmys will be presented over two days, April 28th and 30th, in Pasadena, California. Get ready for some daytime awards show fun. The Daytime Emmys are almost here! And Soap Cities have everything you need to know about getting the most out of the 44th annual Daytime Emmy Awards. “The National Academy of Television Arts & Sciences (NATAS) announced that the Sunday, April 30th show will be live-streamed on both Facebook Live and Twitter-Periscope Producer beginning at 8 p.m. EDT and 5 p.m. PDT,” reported welovesoaps.com. You can visit emmyonline.com for updates on this. Or you can visit the Daytime Emmys Facebook page. And follow The Daytime Emmys on Twitter too. You can also find an application to get tickets there if you’re in the area or can make a trip to Pasadena, California’s Pasadena Civic Auditorium, where the festivities will go down. Daytime mega-fan and The Talk co-host, Sheryl Underwood, and entertainment Renaissance man, Mario Lopez, will host this year’s festivities, according to NATAS. “I am thrilled to have one of the most entertaining combinations in daytime television hosting our grand gala at the Pasadena Civic Auditorium,” said David Michaels, SVP, Daytime, (NATAS). You can get a list of all the fabulous daytime drama acting nominees, courtesy of Soap Cities! The Young and the Restless tops the list with 25 nominations. General Hospital and The Bold and the Beautiful are tied for second place in number of noms with 23 each. Days of Our Lives racked up 22 nominations for Daytime Emmys. As always, Soap Cities will keep you updated on any more information on this exciting daytime tradition as it becomes available.